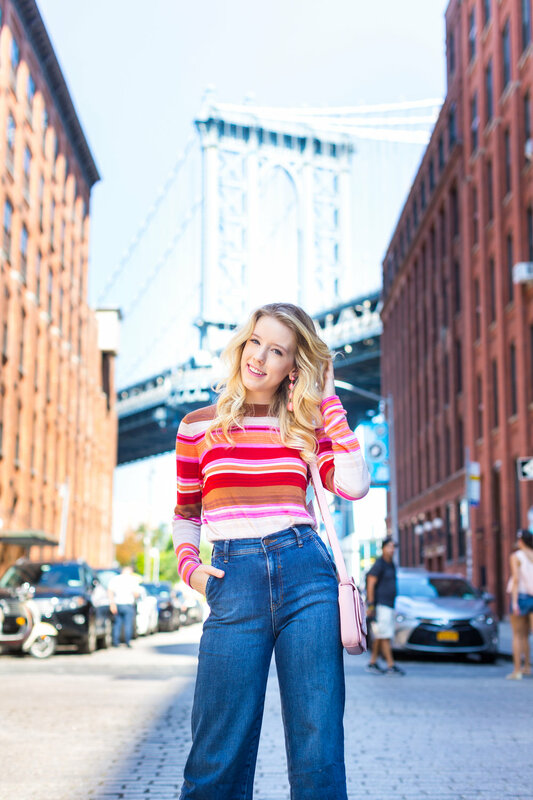 During a foray into Brooklyn with Ashley, I took to channeling my best That 70’s Show vibes with this striped sweater, high waisted flare jeans, and retro sunnies. My jeans and sweater are less than $100 and earrings are under $50! 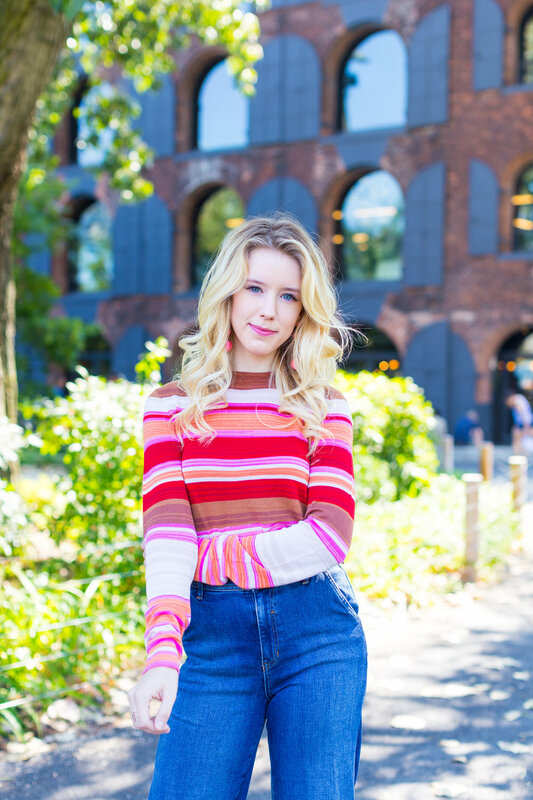 She and I meandered through Dumbo along the water, checking out some of the newest shops in the area including a stop at the FEED Shop & Cafe for coffee. Dumbo is definitely one of my favorite areas of Brooklyn and after coffee we were headed to my other favorite area, Park Slope.